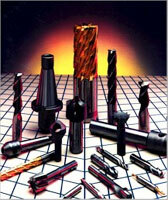 About ACU-GRIND TOOL WORKS Inc.
Acu-Grind understands the pressures we encounter with this complex industry. For one, to stay on top of the industry becomes extremely costly and competitive as most companies experienced in the previous decade. Acu-Grind adapted well with the new millennium despite these endurable times. Giving more to our customers and increasing their bottom line created a superior reputation that you can always rely on when choosing us as your tool grinding company. How our customers benefit? Customizing a convenient and personalized relationship with each company adds substantial value. Offering multi-axis tool grinding in numerous industries Surgical/Medical, Aerospace/Aviation, Woodworking, Mold makers, Military/Defense, and all Machining applications. Upon your request we manufacture what you need based on your job. Example, perhaps a cutting tool that requires a specific LOC, DIA and/or radius that’s not standard with in any catalog Acu-Grind can produce this cutter. Based on your usage whether it’s weekly, monthly or annual reoccurrence we would shelve these items for your convenience. This creates “Just in Time” service for all your reoccurring cutting tool needs. Use our shelf and increase your bottom line month after month. We also listen to our customers on what they want out of Acu-grind. If there’s a certain way you want to build a cutting tool or another way to establish a relationship that’s more suitable for your company, we are very open minded to implement any valuable relationship. Purchases with our C.N.C. come fully equipped with all software extensions and reoccurring upgrades are installed as they become available. All machinery is kept in tip top shape, maintaining on a weekly basis by running commissioning, calibration and repeatability tests. Inspection equipment and other measuring instruments are maintained in our climate control Q.C. room assuring the least amount of deviation during the inspection of cutting tools. Maximum strength and durability, purchasing bare stock of the highest quality in cobalt, high speed tool steel and tungsten carbide guarantees the best cutting edges. 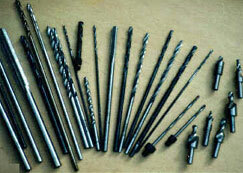 Powerful performance found in our cutting tools will eliminate multiple change over and setups. Uniformity from flute to flute is held at .0002 concentricity keeping staple action per revolution. Our strategic professionalism results in repeat customers. Hopefully you have made the right choice and now we look forward to implementing our extensive tool grinding company to meet your demands.